Overview: At first glance, I wasn’t too sure what Pepperplate does. As it turned out, Pepperplate.com is a meal-planning site that gives you great flexibility. Type in your own favorite recipe or the URL of one you find online, and Pepperplate puts it into a calendar for you. The thing that impressed me the most was the ability to import a recipe from another site simply by pasting in the URL. 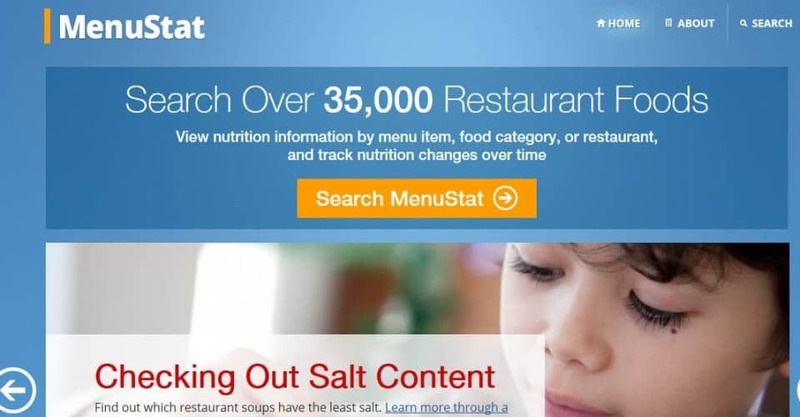 Overview: MenuStat is an impressive sortable database of nutritional information from almost all restaurant chains that was created by the New York City Department of #Health and Mental Hygiene. The most interesting aspect of the site is that it can be searched, sorted and filtered based on many different variables. You can view nutrition information by menu item, food category or restaurant, and even track nutrition changes over time. For example, in one click you can see all the nutrient information for appetizers in a particular restaurant and then sort by sodium. From MenuStat: “Foods eaten away from home are a big part of the American #diet, accounting for one third of caloric intake and almost half of the average household’s food budget. 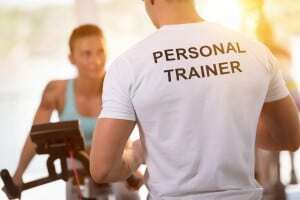 As people eat out in greater numbers, there has been increasing interest in learning more about the nutritional content of foods consumed in restaurants across the United States. Overview: When you type the name of a dish into Edamam’s recipe search engine, you’ll see photos from all the best recipe websites (as well as all the other websites and blogs that post recipes). Additionally, if there is a recipe for which you want a nutritional analysis completed, all you have to do is cut and paste the entire recipe into the online dialogue box, and in seconds Edamam’s “nutrition wizard” will do an instant nutritional analysis for you. Cost: Free to use the basic service, but if you want to use the Nutrition Wizard Plus, you have to pay $5.95 per month. You can, however, use the code RDNutritionist!! to get an entire menu’s worth of nutritional information and labels free for 90 days. Overview: A focused job-matching site for people seeking jobs in the food industry. Cost: $49 per post for a restaurant, and $100 for unlimited posts. Free for jobseekers. Overview: What a great idea­a site that acts like a virtual wholesale market for local food products. Overview: Each week Cook Smarts creates a meal plan that includes four simple, balanced dinners. There is also a grocery list, and every meal comes with gluten-free, paleo and vegetarian versions. Cost: They have a free component, but the whole plan is between $6 and $8 per month. Overview: Another very cool mobile app created by the New York City Department of Health and Mental Hygiene. It helps cooks calculate and reduce calories in recipes by offering swaps from its list of more than 400 ingredients and their calorie counts. Overview: This is a really interesting website that connects home gardeners with excess food to food pantries that help feed the hungry. Overview: A great way to get your kids involved in cooking. At first glance, I thought Raddish actually sent you the food to cook. BlueApron.com, Plated.com, and HelloFresh.com are all subscription food services that send boxes of pre-portioned ingredients and recipes to your doorstep. That’s not the case with Raddish, but they do send you a kit with recipes, talk cards and creative activities – all with the intention of getting your kids involved in cooking healthy, tasty foods. I haven’t tried the service, but I thought it was a bit pricey for what they offer, even though it seems like a great idea. Overview: This app makes it easy for anyone to cook. The recipes include step-by-step simple instructions with large photos.